that have years of experience and are dedicated to their work. – we can advise and sort it out for you. Inside our shop you will find a selection of excellent gift ideas. of our plants will make a great present itself - and we will gift wrap it for you too. We also have a choice of carefully selected cards. 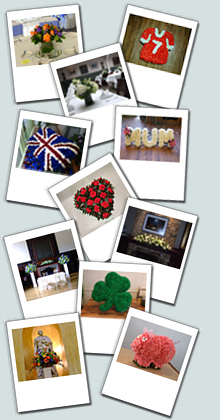 On top of that, Bloomside is also a member of Interflora which alongside our own local delivery service means that with us you can send flowers not only nationwide but also to most countries worldwide.